What would Chicken Soup be without Matzo Balls?! Some like them light; some make them heavy. In our family we call them sinkers versus floaters. We are a “sinker” family! We like how dense and flavorful they are. 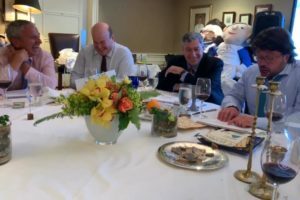 As one of the ways to make Passover more magical for children, we came up with the idea for Lucky Matzo Balls. Matzo Balls with a surprise inside — a crunchy hidden nugget of gribenes. Everyone fights over these delectable, flavorful morsels so we thought it would be fun for the kids to find gribenes hidden inside some, but not all, the matzo balls. Voila, the Lucky Matzo ball! 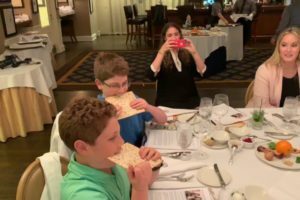 Each year, our kids and our friend’s kids get so excited when they sink their spoon into their matzo ball and discover that theirs is one of the “lucky” ones. 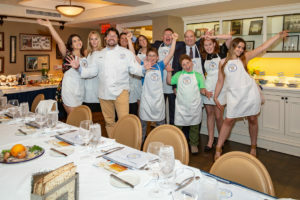 It turns the ordinary experience of eating matzo ball soup into an extraordinary experience! Fun and laughter all around! Beat the whites until stiff with a hand mixer or stand mixer with whisk attachment. Beat the yolks, schmaltz & salt until light. Gradually add the matzo meal. Stir until smooth. Let rest for 10 minutes at room temperature. Carefully drop the balls into boiling salted water or clear soup stock (1 tsp salt to 1 quart water). Simmer for 20 minutes and serve. Or, drain well and add to our Golden Chicken Soup Stock. Blend the matzo meal with the salt and the schmaltz. Mix thoroughly and add chicken stock or cold water to make a dough firm enough to be shaped into balls. Let rest 15-20 minutes. Form balls with wet hands and rest on parchment lined cookie sheet. 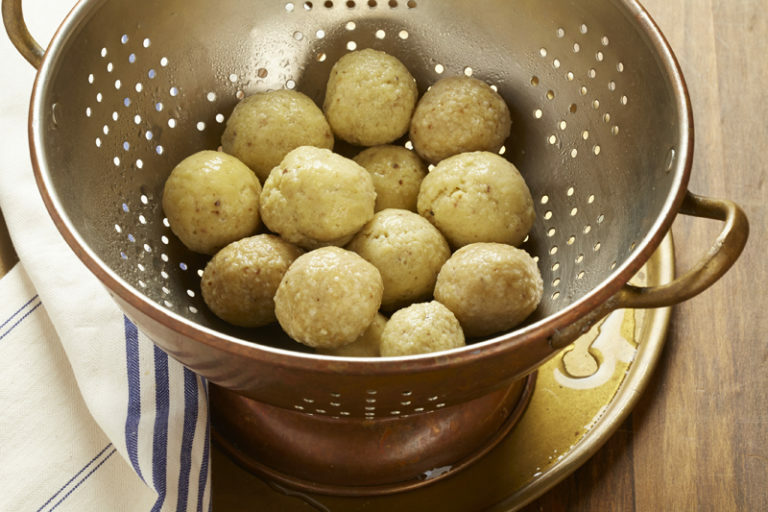 To make some "Lucky Matzo Balls," insert a small piece of gribenes in the center of the matzo ball (we usually put gribenes in a third of our matzo balls). Carefully drop the balls into boiling salted water or clear soup stock (1 tsp salt to 1 quart water). Simmer for 20 minutes. Drain well and add to our Golden Chicken Soup Stock. TIME SAVING TIP: Freeze your matzo balls. First cook them in salted boiling water for 20 minutes, remove and pat dry. Freeze on parchment lined baking sheets. Once frozen, remove from baking sheets and store in freezer in zip-top bags or containers. Be sure to mark which are Sinkers and which are Floaters and of course which have the prized gribenes inside! May I substitute the shmaltz for oil in the Matzoh balls? sure. that should work well. My grandmother from Lithuania would make surprise Matzo balls on Passover. In the center she would make a mixture of egg yolk,schmaltz,matzo meal,salt, and cinnamon . Always a dash of cinnamon in the matzo soup…or is a mother’s kiss! Have you tried to make Gluten free Matzo balls? I’ve made them using the recipe on the box of gluten-free matzo meal. The people who are gluten free like them. Schmaltz is rendered chicken fat. Rendered chicken fat. Boil the chicken skins in water. When the water is gone you are left with pure chicken fat or schmaltz. Refrigerate. I make my brisket very similar to yours using the onion soup mix with V8juice and searing meat first and just laying the brisket on a bed of onions and carrots!!! Comes out delish!! And I love your chicken soup recipe!!! Just heard Andy Goldfarb talking about this (and other things) on Chagigah – WERS in Boston, and am thrilled to see this recipe and the whole site! What a gem. I can’t wait to start cooking and reading. Thank you. 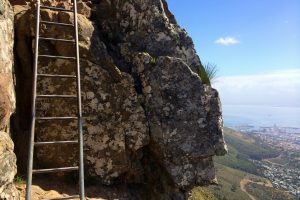 hi there,for how long can I store Matzo meal?…… I find it difficult to get hold off in Cape Town South Africa..when I do..would like to buy plenty…. can I store in air tight container in fridge? or freezer? As long as it’s kept in a cool, dry place (no fridge or freezer) it is good to use past the expiration date (usually one year from purchase). What are gribenes? How do I make it?